It’s that time of year! Yes, it is the time for picking blueberries and for tending to fireworks burns. 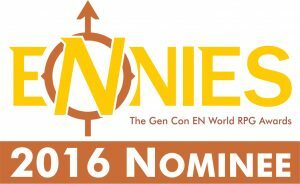 But it’s also the time to announce the 2016 Nominees for the 2016 Gen Con EN World RPG Award—those most illustrious ENnies. Polls open next Monday (July 11). 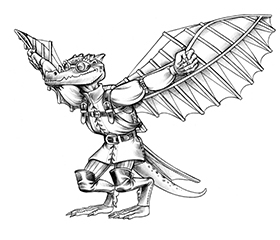 Now, all the nominees are amazing, it’s true, but… it’s totally kobolds! Here’s hoping the Scaled Tribe brings this one home!